Easter is one of those Holiday that seems to bring mixed emotions if you are Christian you will feel sadness and joy for the Resurrection, now if you are pagan (new age) and you celebrate Eostre, it's a merry time to celebrate Eastre and welcome Spring, yet MOST religions allow their kids to enjoy some harmless egg crafting and hunt. 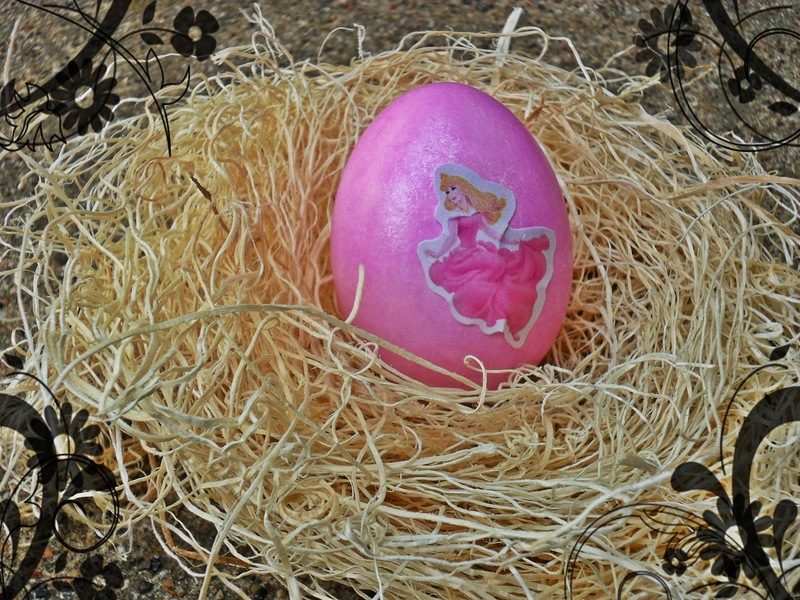 When my children were little Easter was a BIG thing, we would spent a week crafting and painting eggs, cooking, baking and getting ready for the different "Pascua" stages. I should mention that my country is Catholic in their majority so the celebrations are quite different, but the egg craft and hunting are alike and so is the big marketing behind chocolate bunnies and eggs from huge companies like, M&M, Hershey's, Resse's, Cadbury, Lindtz and even Peeps are known worldwide, even in small third world countries like mine. Lets just try to keep some traditions alive. 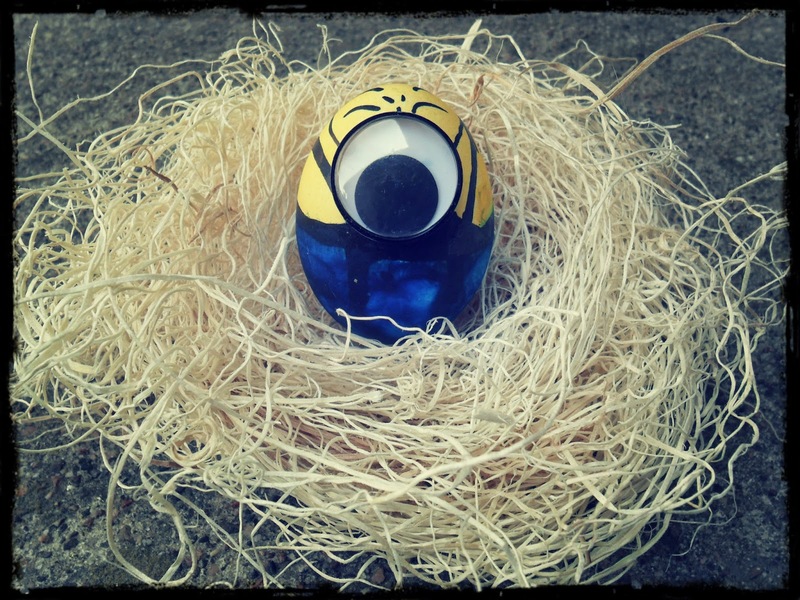 Making minions is not only easy but fun, all you need: eggs, joggle eyes. vinegar, black marker, food colorant (yellow and blue) water and paper towels to protect your furniture and let the eggs dry. 2 Take the joggle eyes you will need and draw around with a black market to create the goggles effect. 3 This stage requires patient you will need to place the eggs inside the bowls and be sure only 1 half is been dyed, 3 mins per side. First yellow then blue. Allow the eggs 15 mins tho dry. 4 Once the eggs are completely dried use your black marker and draw the clothing, use the black marker to cover those green spots in the middle, draw some hair, and use some elmer glue to attach the eye, at last draw around to create the minions goggles. 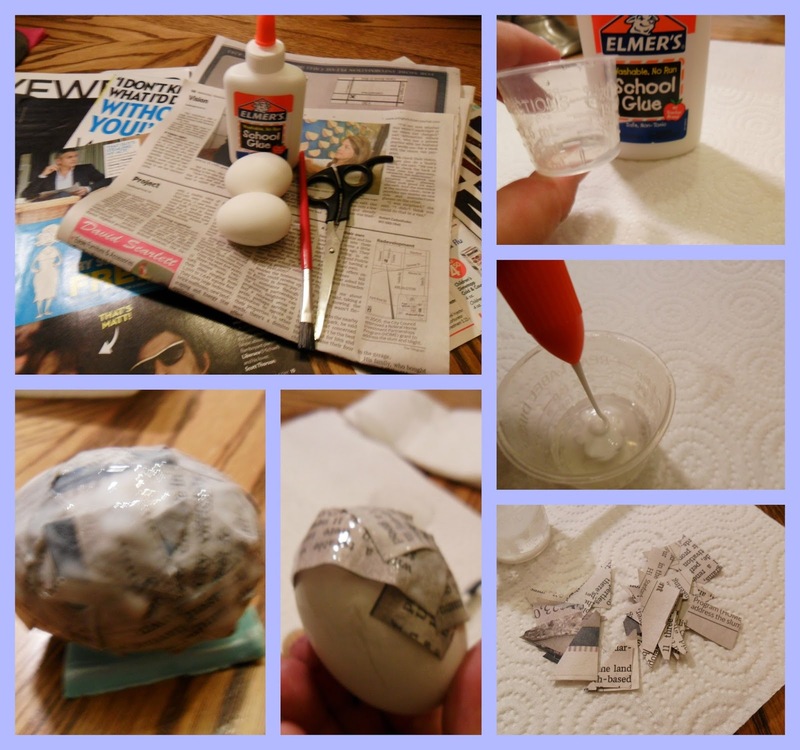 Newspaper eggs are creative, help with the little ones motor skills, are affordable and a great way to recycle. 1 Cut the news paper in small pieces, the biggest 1 inch by 1 inch and then in half's and 1/4. 3 Use a crafting brush to apply the glue and place the news paper pieces around . 4 The glue should be applied on top of the newspapers cuts. 5 Once you have a half done allow to dry and then cover your egg totally. 6 The newspaper eggs can be decorated with big letters cut out from magazines, bows or natural flowers. 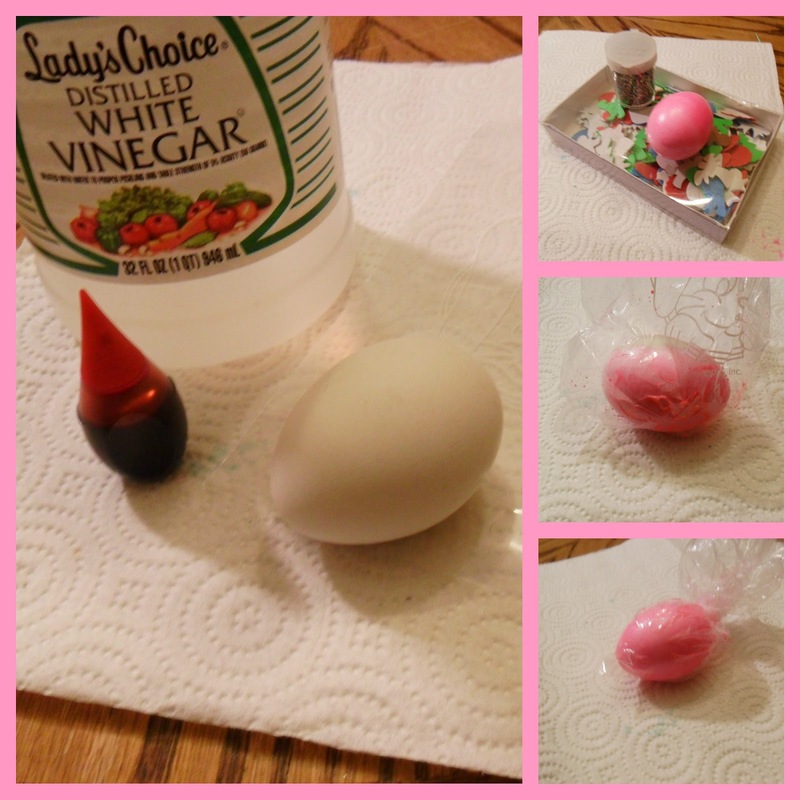 1 Allow a small portion of shaving cream to be mixed with 4 drops of egg colorant and one drop of vinegar. 3 just pat and massage the egg, until it is completely covered, allow it to dry in a paper towel. 4 Decorate your lazy eggs with stickers, if you have plain sticker like the ones in the picture cover one side on elmer glue and dip the sticker on glitter, apply to the egg. My eggs were done using Disney stickers, yours can be done using anything or any type of egg decoration you want! Awh!! Those are totally cool!! Jah will love making these! These give me goose bumps of when I used to create cool looking eggs when I was a kid! Thanks for the memories. I love diys! The Easter Eggs with the newspaper is my favorite!!! Cute ideas...we love to decorate eggs. Over the years we have had some amazing eggs! This is a great idea to decorate eggs. Love, love, love these. We will have to try them out this week! Oh my gosh are you kidding me?? Those minion eggs are absolutely adorable. Would never have thought to make any like that. Loving the minion eggs! I recently saw a minion cake - it would make it a nice theme! So fun! I am loving the Minion egg. 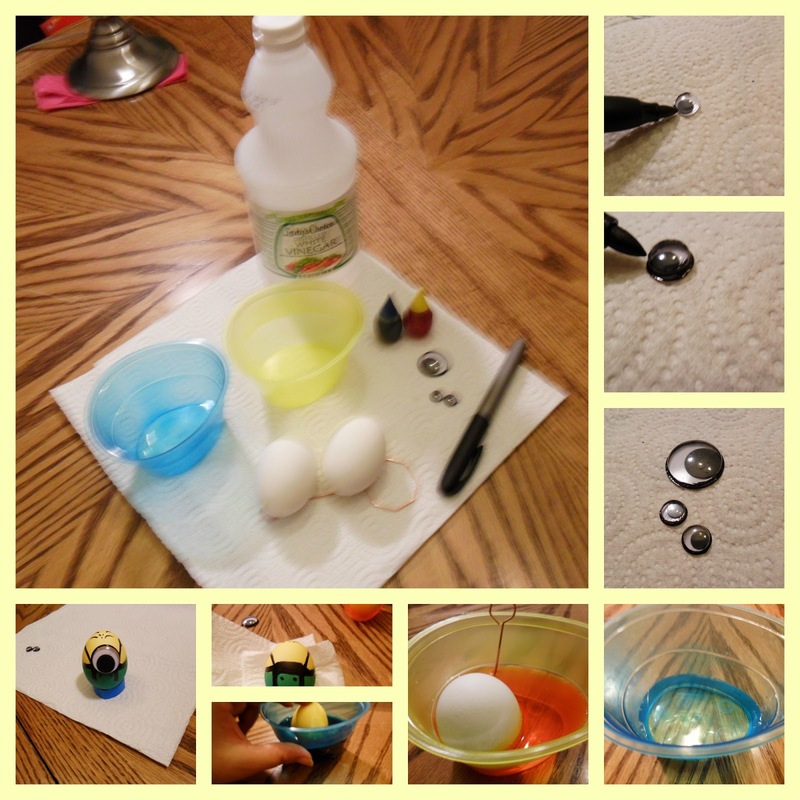 Those eggs are so cute and look fun to make too! So cute! I especially love the Minion egg!! These are so cute! I love the egg with the Aurora sticker! Thank you for trying to get me into the Easter mood. I know I should be pumped as it is my baby's first Easter... but, I'm not feeling it yet. 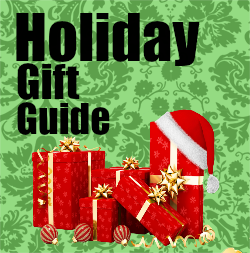 :\ Hope you have a wonderful holiday with your family! LOVE the Minion eggs! My daughter is obsessed with the Minions and would love those eggs. Hopefully we can try them out before Easter comes and goes! You do know that you are far more talented than I am, right? Even with your good directions, I cannot do this! I need like one-on-one sit by my side help. These are so awesome. These are great ideas! I am still unsure how we are going to paint our eggs this year. Those are such cute and crafty ideas for Easter decorating! You had cute craft ideas for people getting ready to celebrate the Easter Bunny. These are the cutest eggs. Thank you so much for sharing. Just in time for when I color eggs. 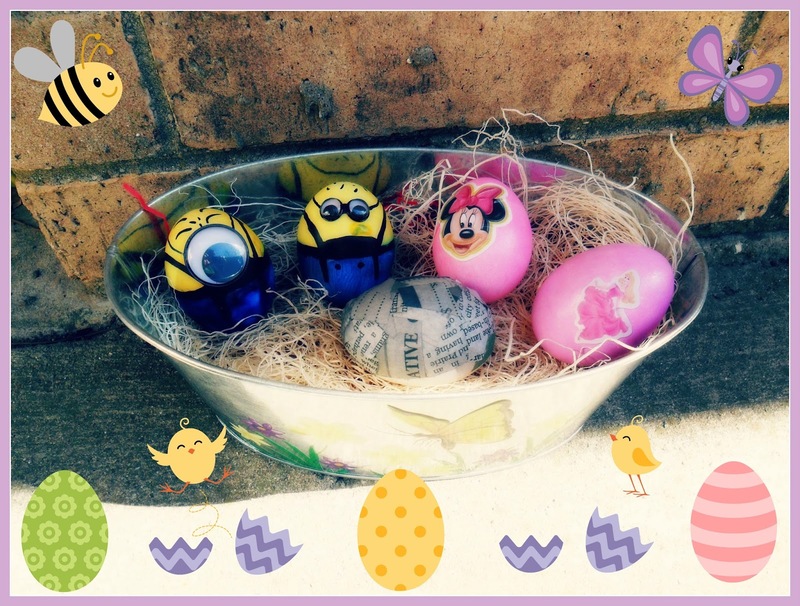 I absolutely love that minion egg! So neat! I am so glad that I just checked your post out without my son being next to me. He would be begging me to make minion eggs right now. We are big fans of them and I think I might surprise him with making some of them this week. Super cute. 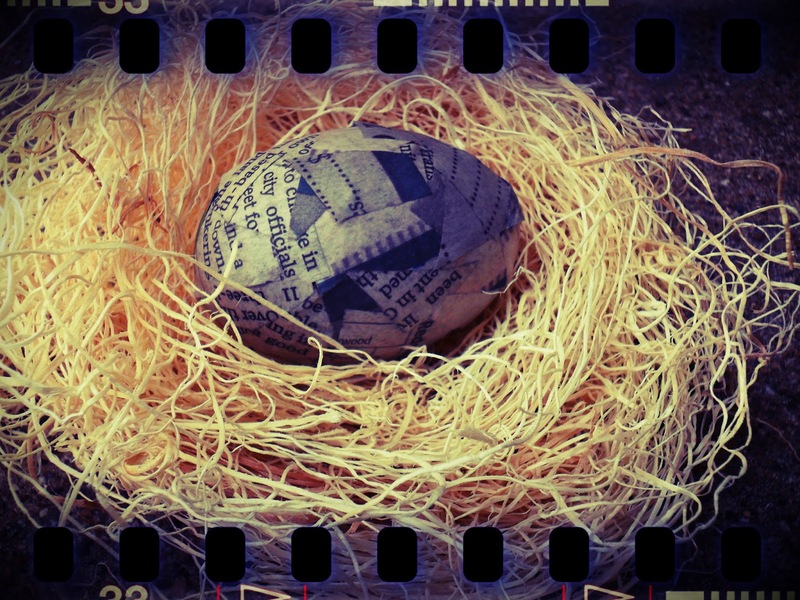 I really love that newspaper egg! How creative! Love the minions! Those are adorable - very creative! Oh gosh! This is the most awesome thing ever! My son is absolutely going to love those minions! haahaaa!!! We will have so much fun trying this out, thank you! Those are super cute! I love minions as well as my kiddos. We will try making one when we do our eggs Saturday! Thanks for the tutorial.